How many time have you felt overwhelmed because you have a too much on our plate? It could be because you’d said yes to too many things. Or you could be wasting your time, energy, or emotion on the wrong thing. Knowing how and when to set boundaries can change all that. 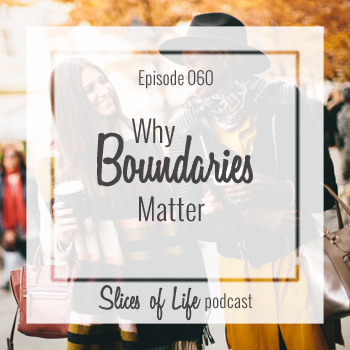 In today’s episode, we’ll talk about what boundaries are, why they’re important and the areas of your life they can tame when set in place. Take the boundaries quiz, receive helpful advice, and get the best selling books that show you when to say yes and how to say no.